Champagne is my absolute favorite cocktail. Give me some bubbles in a flute of sparkling wine or Prosecco and I’ll be happy. Indulgence is everything when you’re celebrating and “bubbles” is my red carpet drink. 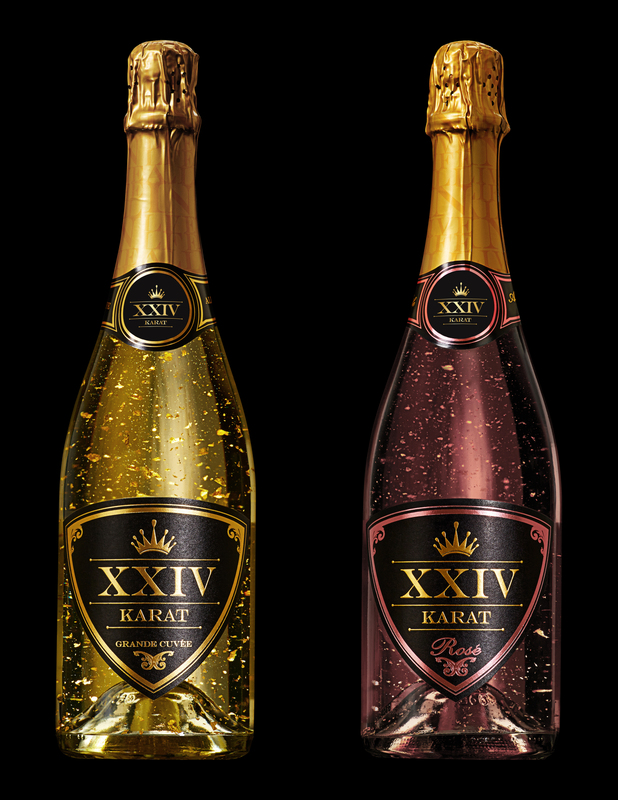 When I thought nothing could be better than a brut glass of sparkling wine, I discovered my cocktail could become more luxurious with a new spirit called XXIV Karat. It’s the first California sparkling wine infused with indulgent 24-karat gold flakes. Trying this new brand wasn’t enough, I was even more intrigued when I found out that co-founders Nicholas Cowherd and Kegan Klein are their own target demography; two recent college grads who are taking this luxury product line to high-end streets. If you’re wondering about the actual cocktail, the sparkling wine is infused with gold-leaf flakes. The XXIV Karat brand thrives on innovation. They see their dancing gold mixing with effervescence of bubbles to be the new caliber of what millennials expect. An LED light illuminates the bottle from within and it definitely creates a distinctive experience. The product is sourced from their vineyard in Mendocino, California and bottled in Lodi. It is blended with multiple varietals, vintages and California Coastal appellations to assure a consistent quality of every bottle. “Our consumers not only enjoy XXIV Karat at exclusive nightclubs and parties, it’s also something one can enjoy in the luxury of their own home or give as the ultimate gift,” adds co-founder Kegan Klein. These young entrepreneurial prospects have found their own 24-karat goldmine. Their passion for champagne and sparkling wine blossomed into a unique luxury product that is sure to be a holiday hit for years to come. Do they still drink other varieties of sparkling wine? The answer is no. They say they are loyal to their brand and now it’s only XXIV Karat. To find a retailer near you go to http://xxivkarat.com/. Nicholas Cowherd is the co-founder of XXIV Karat. Cowherd’s taste for luxury and lifestyle began in his early career, charting private jets and yachts. A natural-born networker, Cowherd quickly made connections with club owners and managers in his hometown of Scottsdale, Arizona. After earning high status among movers and shakers in the nightlife industry, Cowherd realized the surge of champagne & sparkling wine consumption and the need for a product that would create a memorable and decadent experience. In 2012, at the age of only 22, Cowherd left his job at Apple Inc. with his best friend Kegan Klein to pursue their passion to create and introduce one of the most unique products in the industry. The two created what became the first California sparkling wine with indulgent 24-karat gold flakes. Its award-winning design and exquisite taste, truly makes it a craft wine that leaves an everlasting impression. Cowherd holds a Bachelor of Arts in Business Communications from the W.P Carey School of Business at Arizona State University and currently resides in Los Angeles. Nick: Work… Seriously, I enjoy working. But I do love cooking and playing video games to unwind from a long day of work. Nick: The Wolf of Wall Street. Nick: Candy or ice cream. Nick: My phone. I don’t know what I would do without it! Kegan Klein is the co-founder of XXIV Karat. Kegan’s desire for business and marketing began at a young age, working for his family business, operating and opening new restaurant concepts throughout his high school and college years in Arizona. After graduating college at Arizona State University, he quickly built his resume, working for companies such as Gannett Media, Groupon and Yelp. 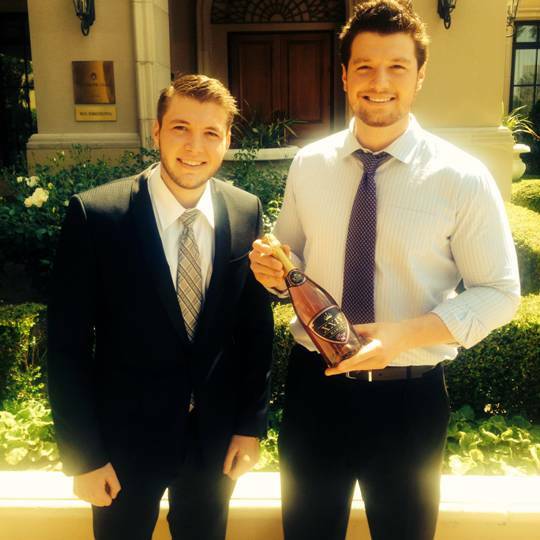 In 2012, while observing the nightlife scene and the sparkler that is so iconic with champagne presentation, Kegan and his best friend Nicholas Cowherd created the idea of XXIV Karat, the first California sparkling wine with indulgent 24-karat gold flakes. 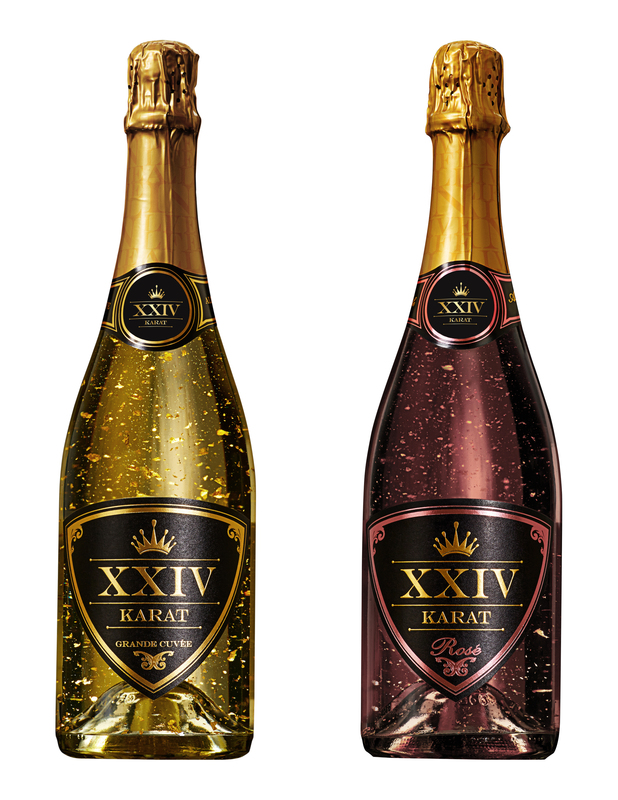 Since launching in 2013, XXIV Karat far exceeded expectations in both on and off-premise accounts in Arizona, Michigan, North Carolina, South Carolina and more recently, California, through its distribution partnership with Southern Wine & Spirits. Kegan holds a Bachelors degree in Business from Arizona State University and currently resides in San Diego, California. Kegan: I am a typical 26-year old. I love to workout, golf, play basketball, go to the movies, hang out with friends, chase girls, and most recently, hit the beach. There was a time in my life that I loved the nightclub scene. Aspects of this job were everything you might want when you’re still in college, but now the club life seems like work. Every now and then, you will find me letting loose and having a good time in a club, but I must always be mindful of who I am and where I am, and hopefully I don’t embarrass myself. Kegan: As a huge baseball fan, I must say it is For Love of the Game. I just love that movie. Kegan: Killing Patton by Bill O’Reilly and Martin Dugard. Kegan: Fire Hot Cheetos, I am a sucker for those things! Kegan: The iPhone is both my favorite and least favorite piece of technology. The convenience of constantly being connected to all lines of communication (email, phone, text, social media) is very important to any business owner. However, I have a hard time turning it off and getting away for a period of time to enjoy family and friends. PreviousWhere Do The World’s Millionaires Reside?